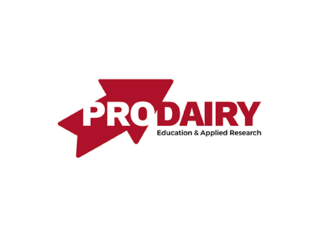 In a research trial conducted by Cornell University and Dairy Health and Management Services, LLC (DHMS) in New York, researchers sought to determine the effects of feeding Holstein dairy cows one feeding of QuadriCal® calcium boluses within 24 hours after calving. The results showed that both first-calf heifers (L1) and cows second lactation and greater (L2+) given one feeding of QuadriCal® after calving produced more pounds of milk per day than control animals in all statistically significant analyses (see Figure 1)1. 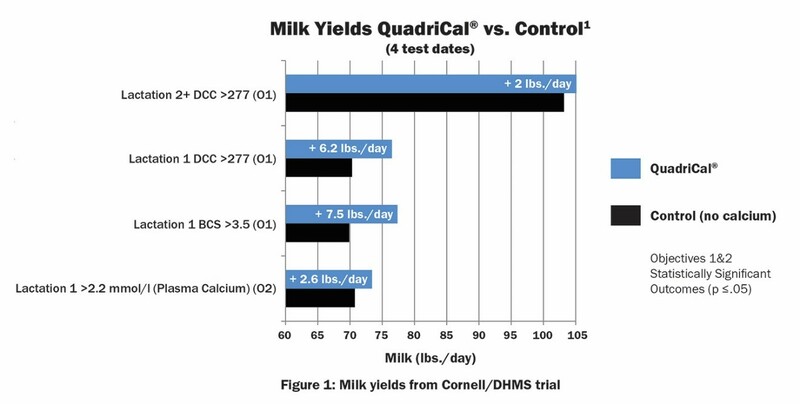 Figure 1: Milk yields from Cornell/DHMS trial | Objective 1 (O1) analyzed production and health outcomes according to treatment effects, risk factors and relevant interactions. Objective 2 (O2) analyzed production and health outcomes according to O1 factors, as well as calcium status thresholds. DCC refers to days carried calf or gestation length. BCS refers to body condition score. 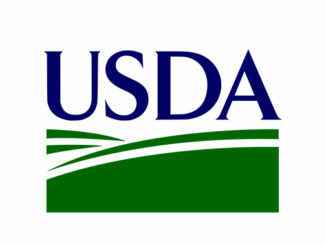 This trial included 3,949 cows on six commercial dairies in New York State. Milk yields from the first four test dates were analyzed according to variables such as body condition score (BCS), gestation length or days carried calf (DCC), and blood calcium levels before QuadriCal® feeding. The estimated economic benefit of supplementing all L2+ cows, based on statistically significant results from the Cornell/DHMS trial data, amounts to $44.00 over a 305-day lactation cycle for an initial investment of $5.50 (1 dose of QuadriCal® average retail value), or an 8:1 return on investment. This estimate accounts for the increased possibility of metritis in high calcium L2+ cows, the cost of feed and the cost of one feeding of QuadriCal® at regular retail price. The costs per case of metritis, retained placenta and displaced abomasum are based on estimates in a 2017 Journal of Dairy Science article by the University of Kentucky Departments of Veterinary Science and Animal and Food Sciences2. 1 Leno, B.M. et al. “Differential effect of a single dose of oral Ca based on postpartum plasma Ca concentration in Holstein cows.” Cornell University Animal Science Department and Population Medicine and Diagnostic Sciences Department, College of Veterinary Medicine. Dairy Health and Management Services, LLC. Presented at ADSA, Pittsburgh, PA, June 2017 and AABP, Omaha NE, September 2017. Support provided by Bio-Vet, Inc. and New York Farm Viability Institute. Science, vol. 100, no. 2, 2017. 1472-1486.